Developing countries face an alarming annual investment gap of USD 2.5 trillion in the key sustainable development sectors. Total investment needs in developing countries are estimated between USD 3.3 trillion to USD 4.5 trillion a year, mainly in the areas of food security, climate change mitigation and adaption, health, education and basic infrastructure. Although it almost seems impossible, bridging this gap is achievable through increased private sector investments. While global leadership and national policies will contribute to increase private investments, providing sustainable and scalable solutions is crucial to close this gap. Today’s ideas and decisions shape our future. 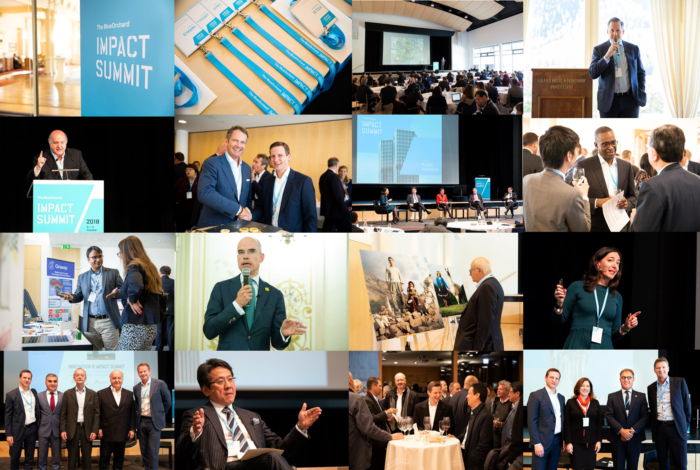 As BlueOrchard is always looking for new ways to create a positive impact, we have decided to initiate the BlueOrchard Impact Summit. This forward-thinking event will allow global leaders, key decision makers and academics to come together in an intimate environment to find ways to unlock the resources required to achieve the new development agenda by 2030.